While some games tend to concentrate on historical event to base their games on such as the previous Call of Duty franchise, ultimately you run out of wars to interpret. Killzone has none of that. The imagination of the crew have permitted them to come up with a whole new realm; a futuristic world with extraterrestrial beings. 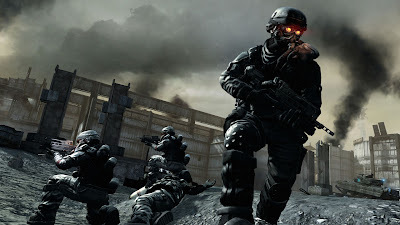 Killzone has become a First Person Shooter that would come up on any gamer’s list of the best games. It often was depicted as being better than the other games because of the realism of the gameplay. From the way the personas run to holding their weapons for aiming; the developers have thought of everything. Based in an era of Space colonization, the Helghast versus the Interplanetary Strategic Alliance features epic battles that I have had the opportunity to play. Tune in for a gameplay review. Are the Halo 4 Map Packs worth it?